Scroll down to review detailed descriptions of what the difference between drug trafficking and aggravating drug trafficking in Ohio, as well the statutory penalties for trafficking in different types of drugs. Before doing that, however, take a few moments to familiarize yourself with a few basic facts that will make the details easier to understand. First, section 2925.03 of the Ohio Revised Code defines drug trafficking as the illegal sale, shipment, transportation, delivery distribution or preparation for distribution of drugs. When the substance involved is a Schedule I or Schedule II drug, the alleged offense is treated as aggravated trafficking. Ohio follows the lead of the U.S. Drug Enforcement Administration in defining a Schedule I drug as one with no currently accepted medical use and a high potential for abuse. Schedule II drugs are those that have legitimate therapeutic uses but which can also be abused and lead to addiction. Examples of Schedule I drugs are Ecstasy, heroin, LSD, and peyote. Marijuana remains a Schedule I drug, but Ohio allows some medicinal cannabis use under tight restrictions. Schedule II drugs include cocaine, methamphetamines, Adderall, Ritalin, and a range of prescription painkillers classified as opioids. This last group of medications includes fentanyl, hydrocodone, hydromorphone, methadone and oxycodone. Familiar brand-name opioids are Dilaudid, OxyContin, and Vicodin. Prosecutors and judges in Ohio take drug trafficking charges very seriously. They will seek and impose maximum sentences. They will also pursue multiple charges for each type of drug an alleged trafficker possesses at the time of arrest. If you are facing a lengthy jail sentence for allegedly trafficking in drugs, Colin Maher of the Columbus, Ohio-based Maher Law Firm may be able to help. He has a strong track record of defending criminal suspects in the capital city and throughout Franklin County. He also offers no-cost, no-pressure phone consultations to potential clients. You can speak to a Columbus criminal defense attorney now by calling Colin at (614) 205-2208 or by completing this online contact form. Now, on to those promised details about possible Ohio drug trafficking and aggravated drug trafficking charges. If the substance is included in schedule III, IV, or V, the alleged crime is considered trafficking in drugs. 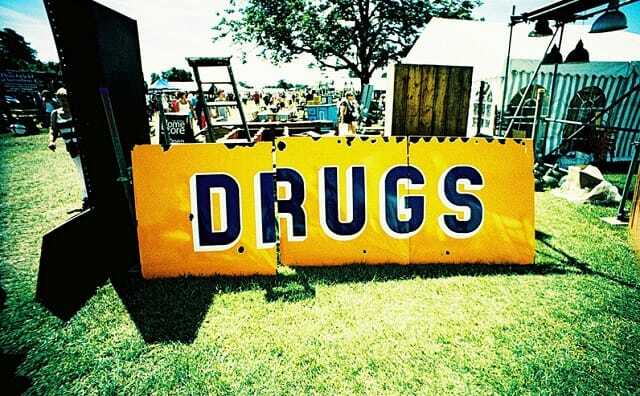 Trafficking in drugs is generally a felony of the fifth degree. Certain facts will change the level of felony and, therefore, the possible penalties. If the substance is marijuana, the alleged crime is considered trafficking in marijuana. Trafficking in marijuana is generally a felony of the fifth degree. Certain facts will change the level of felony and, therefore, the possible penalties. Trafficking in marijuana is a minor misdemeanor if the offense involves a gift of 20 grams or less. It is a misdemeanor of the third degree if the gift of 20 grams or less occurs within the vicinity of a school or juvenile. If the substance is cocaine, the alleged crime is considered trafficking in cocaine. Trafficking in cocaine is generally a felony of the fifth degree. Certain facts will change the level of felony and, therefore, the possible penalties. If the substance is LSD, the alleged crime is considered trafficking in LSD. Trafficking in LSD is generally a felony of the fifth degree. Certain facts will change the level of felony and, therefore, the possible penalties. If the substance is heroin, the alleged crime is considered trafficking in heroin. Trafficking in heroin is generally a felony of the fifth degree. Certain facts will change the level of felony and, therefore, the possible penalties. If the substance is hashish, the alleged crime is considered trafficking in hashish. Trafficking in hashish is generally a felony of the fifth degree. Certain facts will change the level of felony and, therefore, the possible penalties. If the substance is spice, the alleged crime is considered trafficking in spice. Trafficking in spice is generally a felony of the fifth degree. Certain facts will change the level of felony and, therefore, the possible penalties.